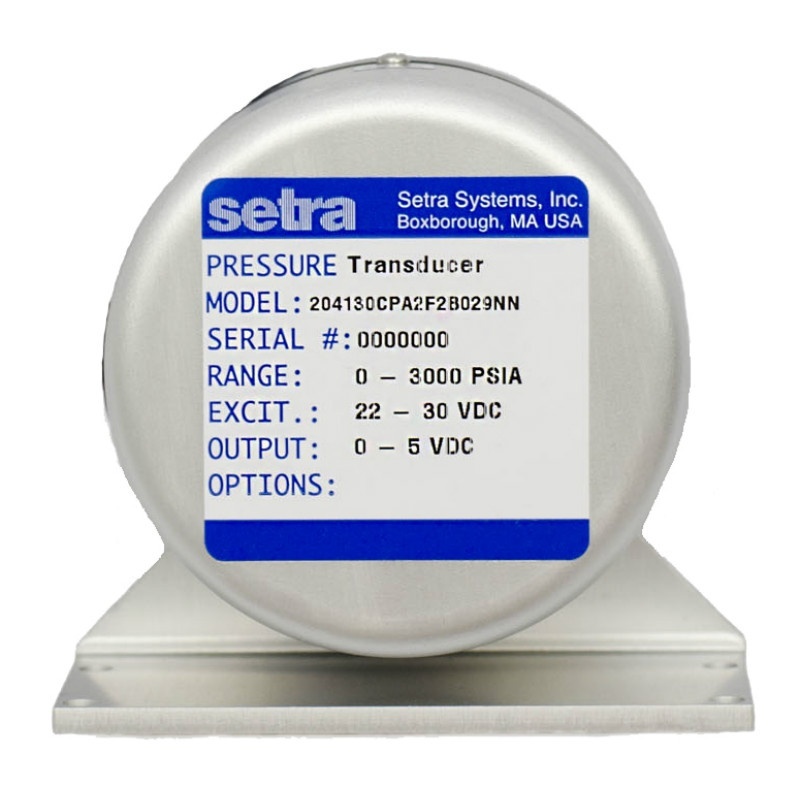 Setra's Model 204 is the "standard" for measuring gauge and absolute pressure in the Test & Measurement industry. Decades worth of installations have helped the 204 build a reputation of reliability and remains the trusted choice for critical applications. 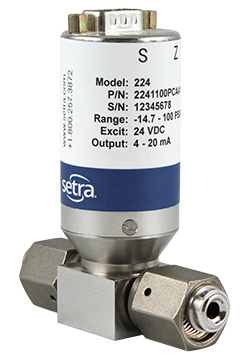 Setra's Model 204 is the "standard" for measuring gauge and absolute pressure in the Test & Measurement industry. Decades worth of installations have helped the 204 build a reputation of reliability and remains the trusted choice for critical applications. The 204 delivers a high performance ±0.073% FS accuracy over a wide temperature range which outperforms competitive transducers in the mid to high pressure market. 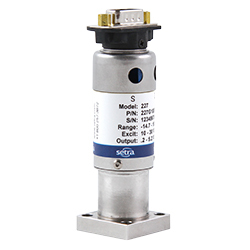 The 204 offers multiple options to meet both simple and demanding application requirements that are not provided on competitive transducers. 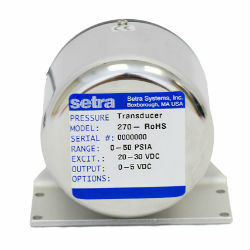 Long-Term Reliability - The Model 204 pressure transducer uses a simple and reliable variable capacitance sensor design. The 204 provides repeatable and dependable readings in rugged applications through its efficient sensor design. 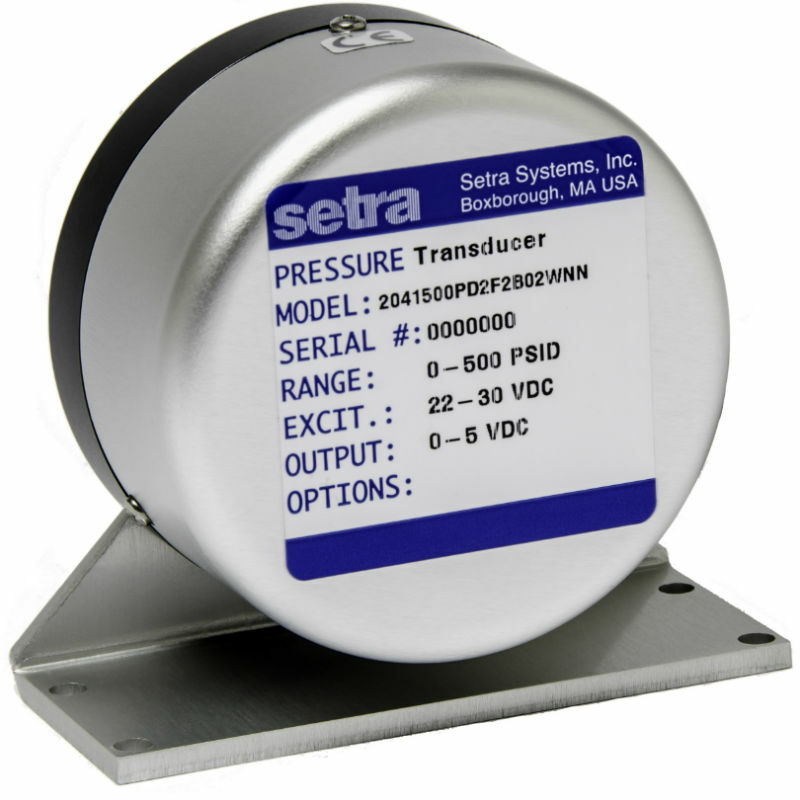 Accuracy & Performance - The Model 204 is a Test & Measurement grade transducer for mid to high pressure ranges. The 204 covers a large selection of pressure ranges with ±0.073% FS accuracy over a wide temperature range. The Model 204 provides response time of under 1 ms, exceeding the performance of many competitors. Customization is Standard - Unlike many competitors, the 204 offers many mechanical and electrical options that can be integrated into existing system designs. These options reduce engineering design time, allowing for earlier project completion and quicker time to market.